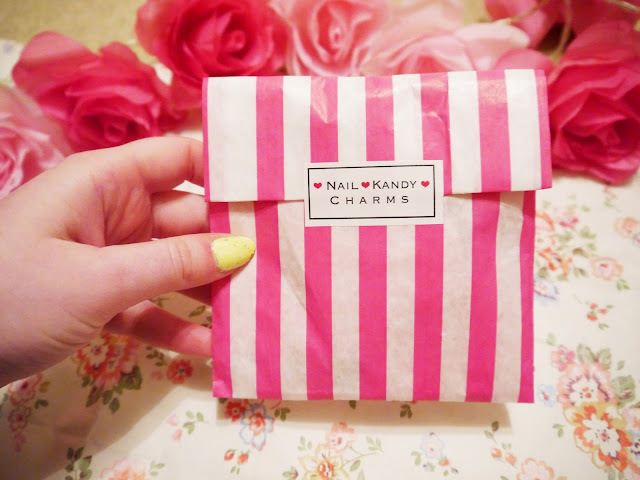 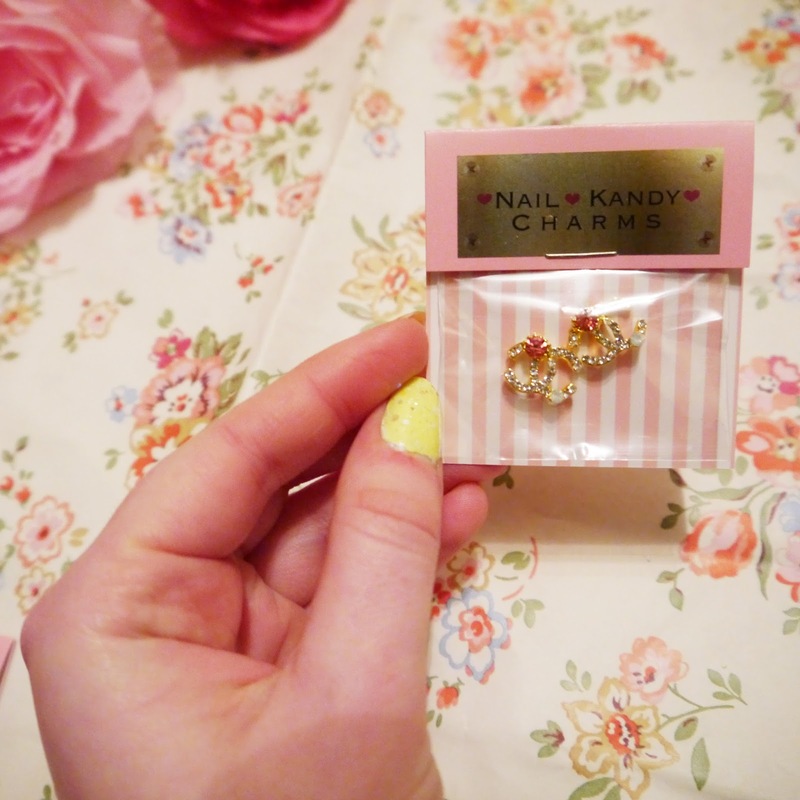 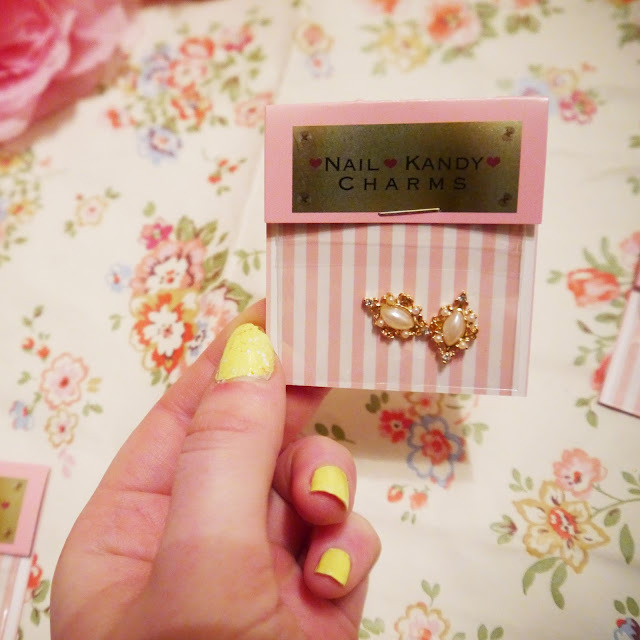 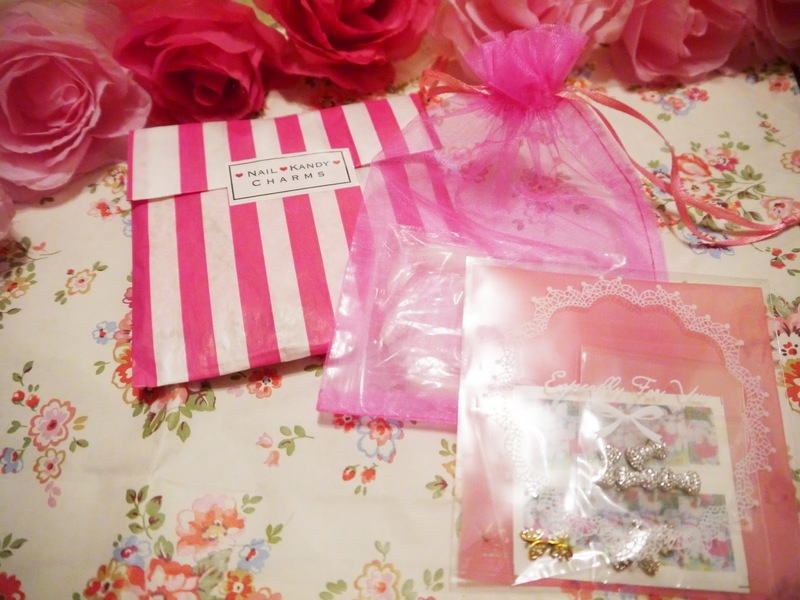 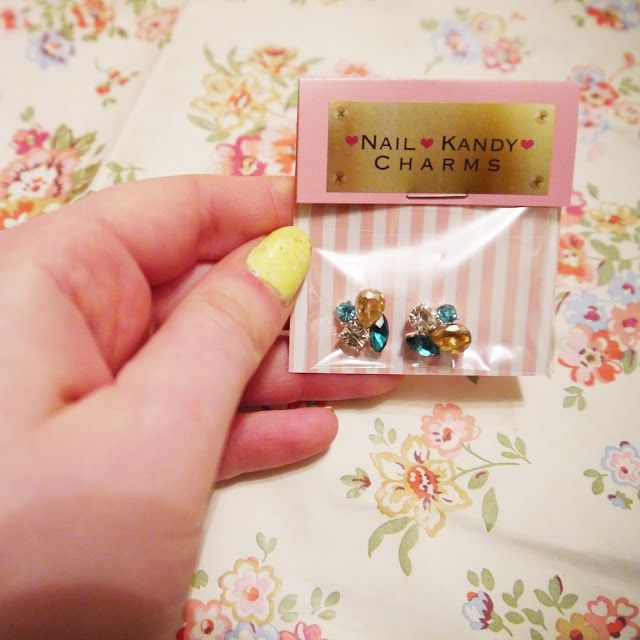 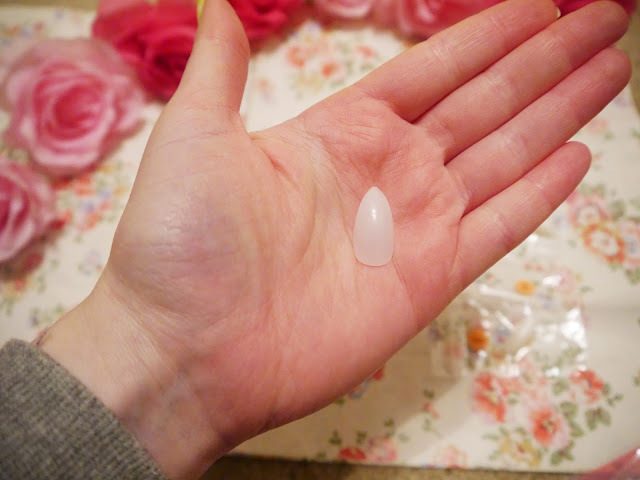 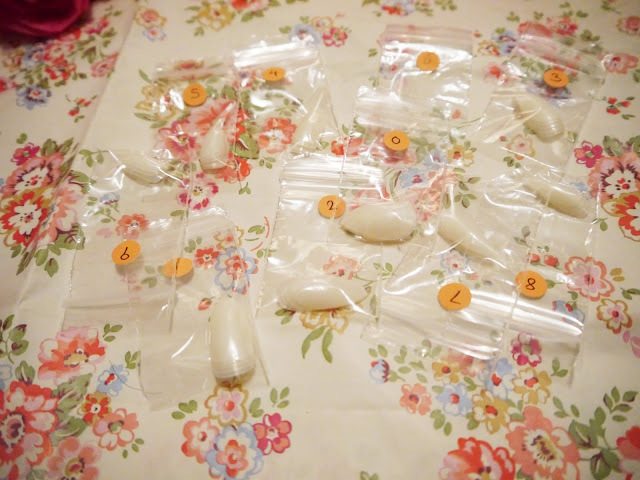 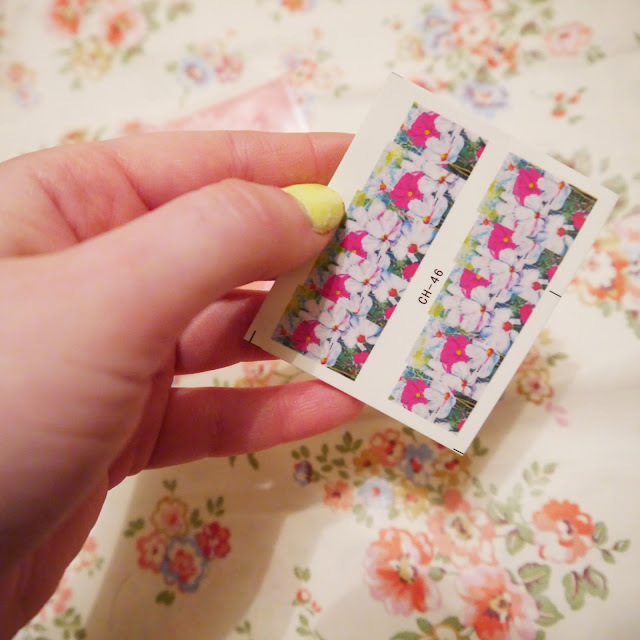 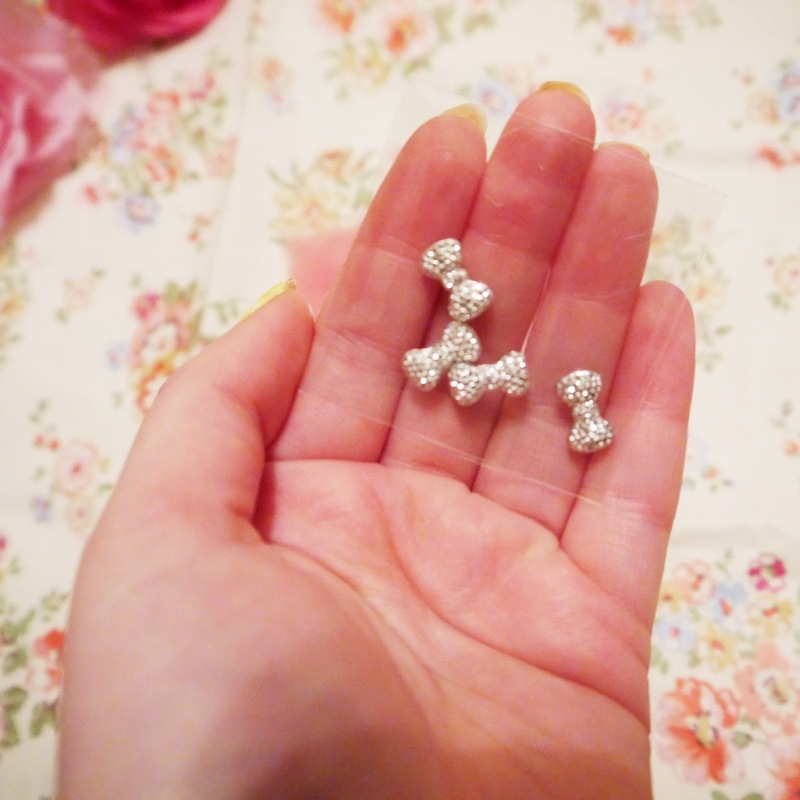 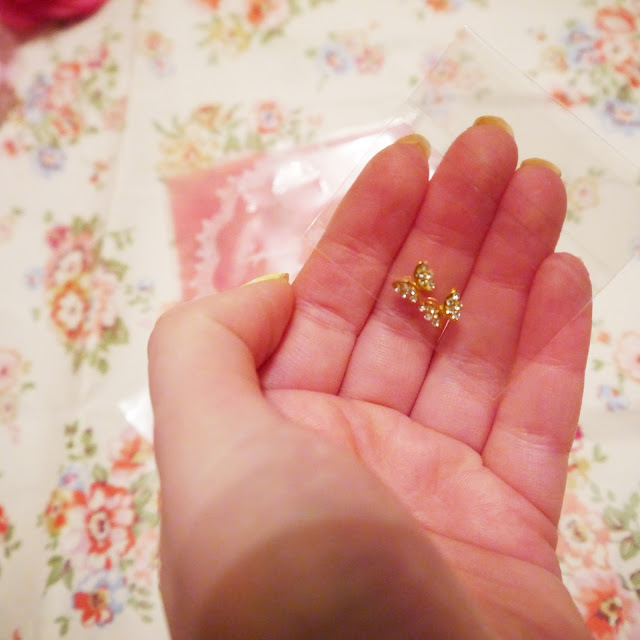 Today's post is a little nail charm haul that I got from Nail Kandy Charms. 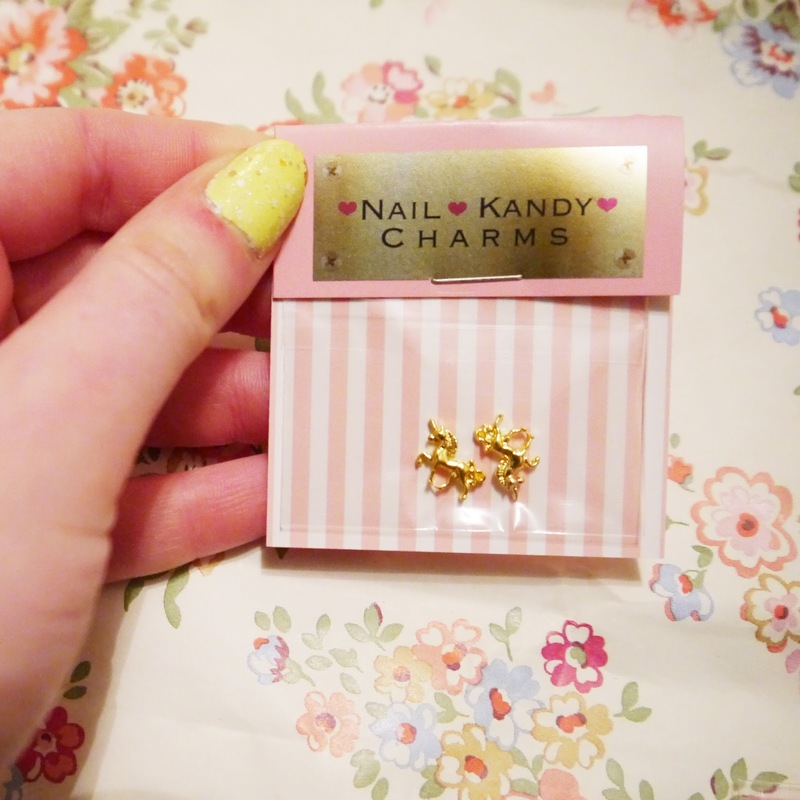 I've never heard of Nail Kandy Charms but they liked one of my Instagram pictures and when I saw their name I was like "oooh I like nail stuff!" 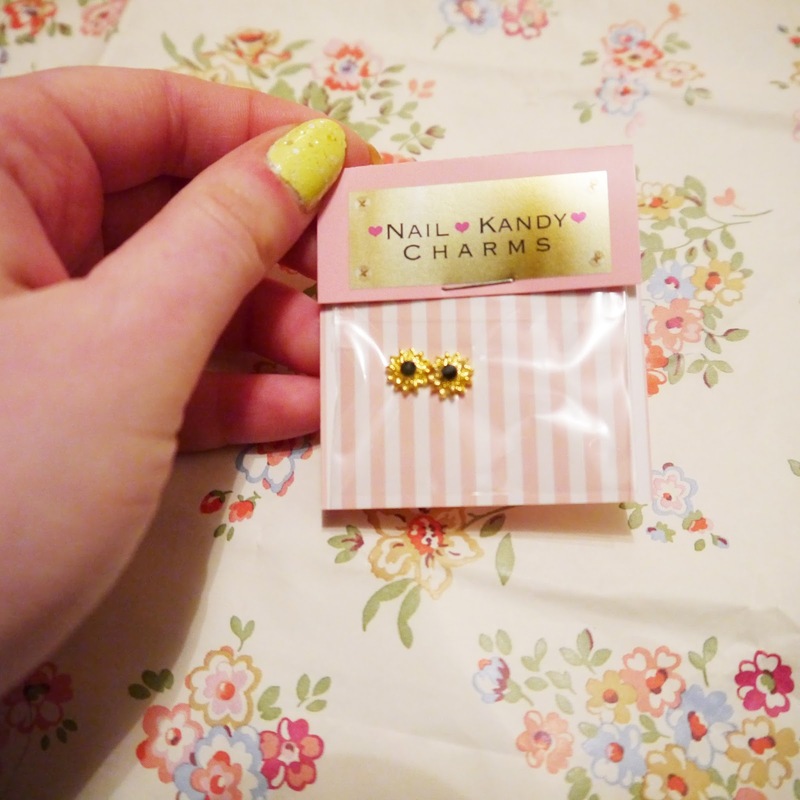 so I clicked on their Instagram and omg they have the nicest charms ever - so I ordered some! 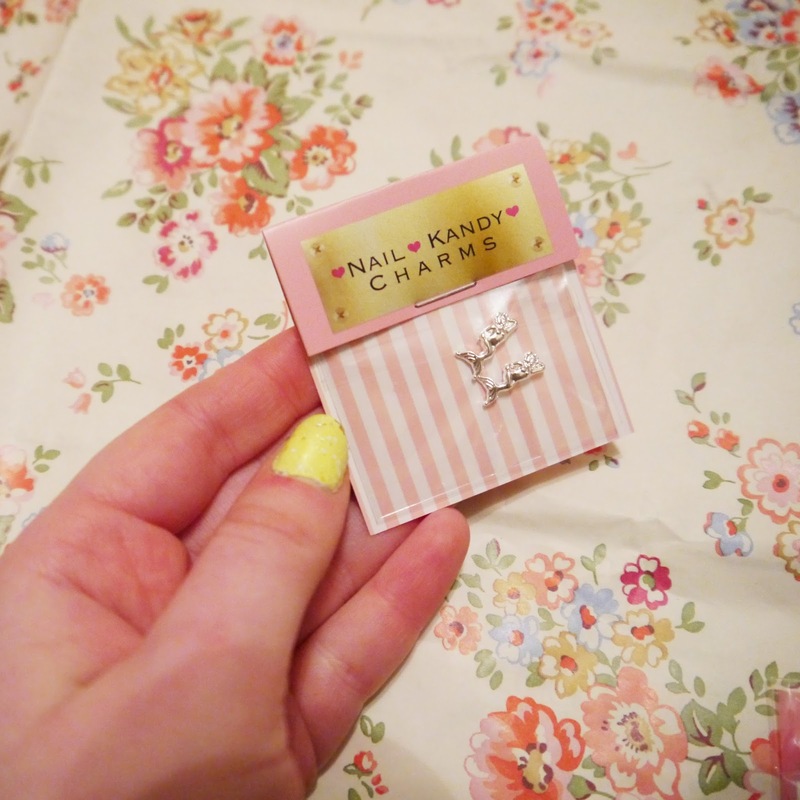 Got these so I can do my sister's nails! 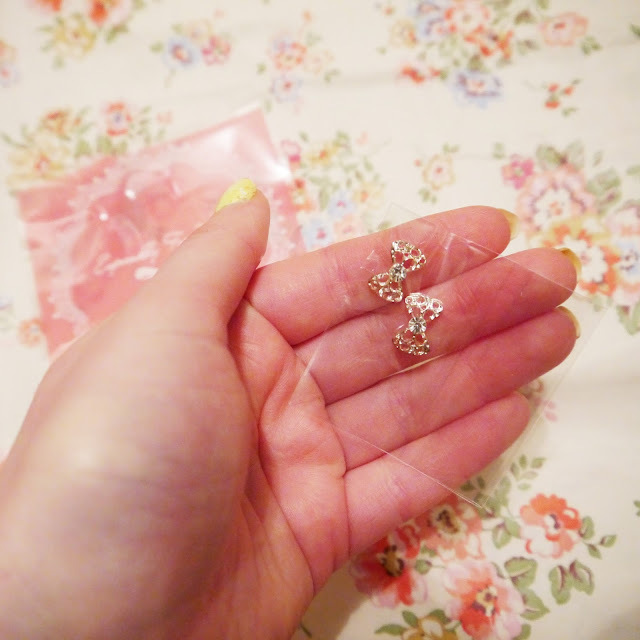 When my order came I also got these things for free - which I think is really sweet! 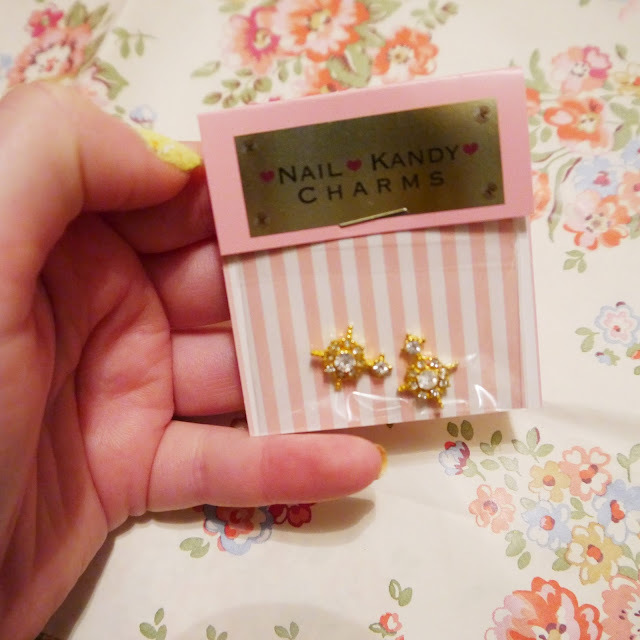 They came in a little bag that said "Especially For You" which I thought was so cute lol.